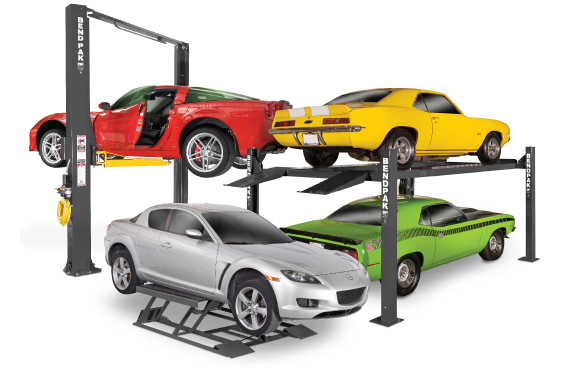 Car lifts have long been one of the most important investments a professional automotive shop or garage can make. With the recent unexpected boost in automotive business sector, consumers are even more likely to repair and service their vehicles rather than purchase a new one. It's never been more important for auto body shops, quick lube stations, car dealerships and car rental businesses to have the most reliable car lifting equipment to suit the needs of their customers. Increasingly, car lifts are also becoming a more popular choice among dedicated hobbyists who prefer to maintain their own vehicles, as well as families looking to make the most out of their limited parking space. The efficiency, speed, safety and convenience a high-quality car lift provides is now an affordable option for the home user. But finding the right car lift for home or professional use is still a challenging task for many consumers, mostly because it seems like the options, features and different applications multiply in number by the day. That's why we're here to offer comprehensive help with The Best Car Lift: A Guide from BendPak. This guide will not only give you valuable information about the different car lift styles, but also about the important role ALI / ETL certification plays in safe car lift operation, safety features, how to choose a dealer and pricing. Using this car lift buyer's guide will prepare you so that you can find the best auto lift for your home or business. The most important thing you can do when shopping around for a new auto lift of any kind is to conduct your own car lift consumer research. Since you're reading this in-depth car lift guide, you are already on the right track. You should get started by gaining more than a basic understanding of where the automotive lift is going to be installed. To start, this will require accurate measurements of your bay or garage, including ceiling height. Also, decide what type of car or truck the auto lift will be lifting. Use that information to choose the prospective car lift's dimensions and weight capacity. Additional things to look out for include concrete strength and the pounds per square inch (PSI) rating, as well as the location / rating of your power and air supply. These factors will certainly affect which car lift you should invest in. There are also other online resources you can use to fully prepare yourself for your car lift purchase and installation. Two of them are the Top 10 Guide to Car Lifts and the Study in Lift Design. Now that you have prepared this general information, you're all set to answer the question, "Which car lift is right for me?" Read on, future car lift owner!